Each system contains a new unique ultra destruct warning label with QR code and a bottle containing 100s of Datadots®. 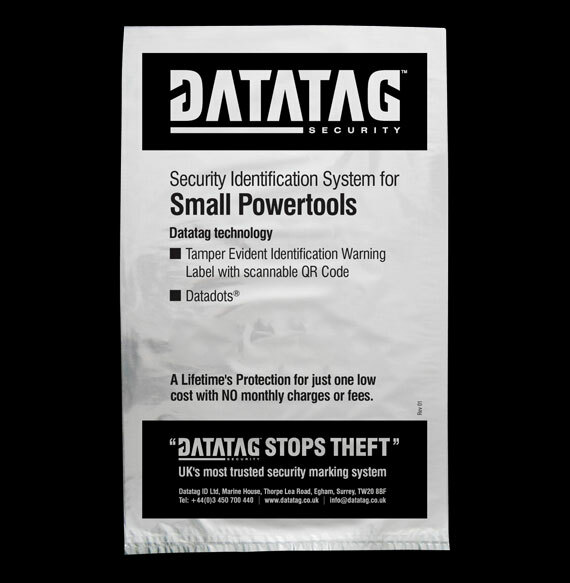 The specially designed Datatag labels contain a unique identification number and QR code, and they also warn off any potential thieves that the tool is protected. They are both attractive and impossible to remove without damage. 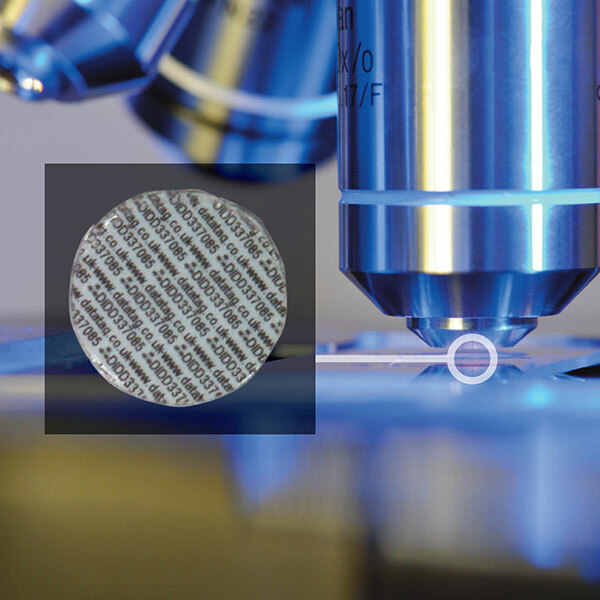 The Datadots® in a UV trace adhesive can be applied with the supplied brush to almost every part of the tool, giving it 100s of identifying marks, impossible for a thief to remove - easy for police to identify. Thieves know that Datatagged property is simply too hot to handle, and once they see your property is protected they will usually go looking for an easier target. These specially designed Datatag tamper evident labels contain a unique identification number and QR code. They warn off any potential thieves and are both attractive and impossible to remove without damage. 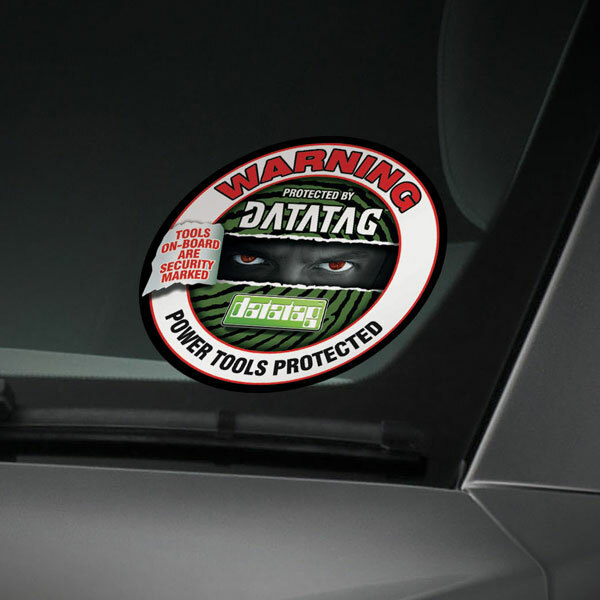 These specially designed Datatag decals warn off any potential thieves and indicate that your property is protected by a state of the art Datatag system. 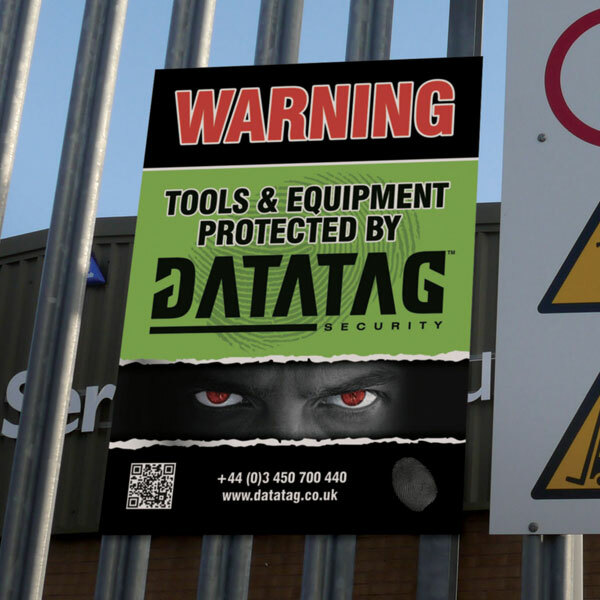 These specially designed site/building signs warn off any potential thieves and indicate that your property is protected by a state of the art Datatag system. Most powertools are stolen by professional criminals. Even the latest alarms and locks do not always deter criminals although the more measures you take - the better. 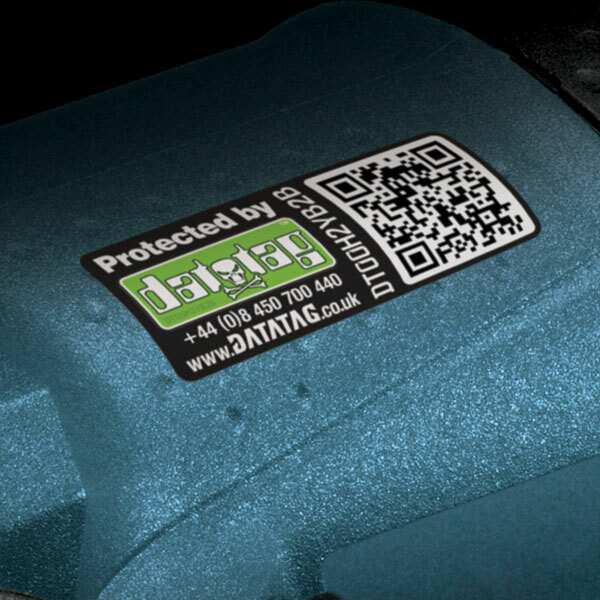 It's therefore essential that all powertools are protected and registered with a Datatag security system. Criminals know it's virtually impossible to defeat the multi-layered Datatag system and as such Datatagged assets become too risky.